On the 10th of April 2019, President of Turkmenistan Gurbanguly Berdimuhamedov has participated in the ceremony of laying the foundation of the new city, Ahal province’s administrative city that will be built on the territory of Geoktepe etrap. This step serves as an illustrative example of implementing the national policy of Turkmenistan reflecting the social-economic growth of the country. The Chair and deputies of the Parliament of Turkmenistan, members of the Cabinet of Ministers of Turkmenistan, heads of relevant ministries and departments of the country, including the heads of Ashgabat city and Ahal region municipalities, as well as the heads of diplomatic missions and foreign representative offices accredited in Turkmenistan and the representatives of foreign mass media took part in the official ceremony. Different scale models designed in the national style were positioned in the area where the official event took place, representing the greatness of Turkmen culture. 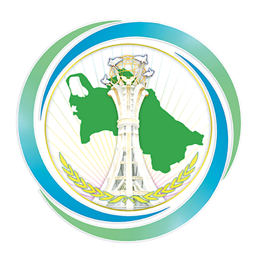 Addressing to the participants, the President of Turkmenistan noted the significance of the current event that represents the start of practical implementation of a grand project – the start-up of the construction process of a whole city. The participants of the event got an opportunity to watch the performances of the masters of art of Turkmenistan where the national rituals, games and contests where also demonstrated. This city is expected to be unique from the standpoint of cohesion of traditional and modern methods of town planning. The facilities to be constructed, including the administrative centres, cultural and social facilities, as well as residential complexes will possess all the conditions necessary for the inhabitants. It is awaited that the new city will be built up in a several years.